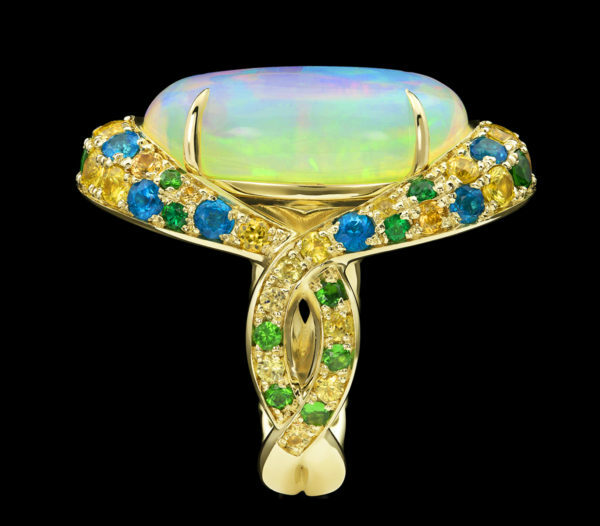 For their lively light-play and rainbow colors, opals are unlike any other gemstone. One of four so-called phenomenal gemstones, opals exhibit a unique light interaction called opalescence, created by perfectly ordered spheres of silica, which diffract light with a magical flourish. The gem has strong ties to the continent of Australia. 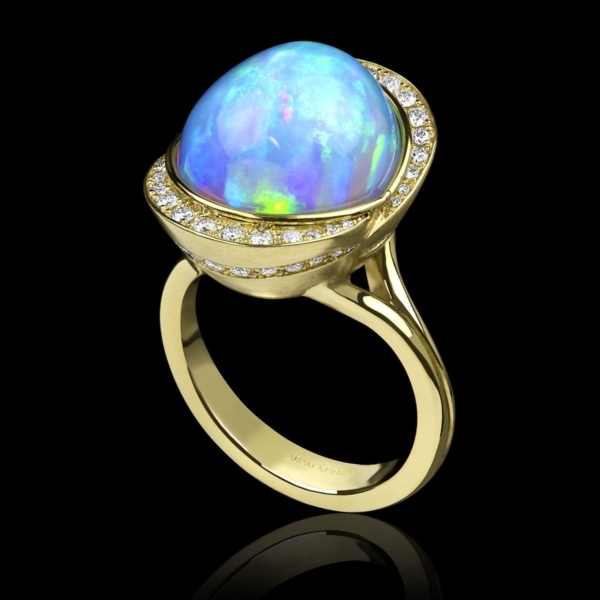 Throughout the 20th century, upwards of 95% of all opal was mined in Australia. 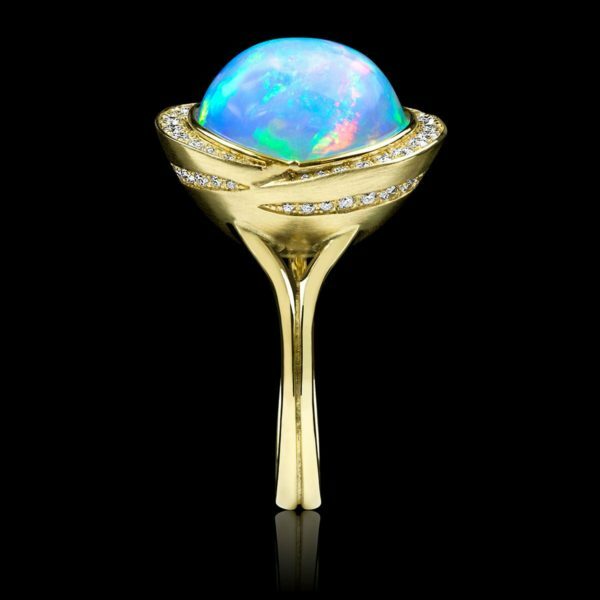 In 1994, however, a dazzling discovery revealed opals of magnificent beauty in Ethiopia, a location never before known for opal deposits. The initial discovery was modest in size, but subsequent Ethiopian opal finds in 2008 and 2013 were delightfully abundant, challenging Australia’s nearly century-long dominance of the opal market. Often new gemstone finds gain public attention through the extensive promotional efforts of mines or jewelry brands, hoping to recoup the enormous advertising expense in gemstone sales. 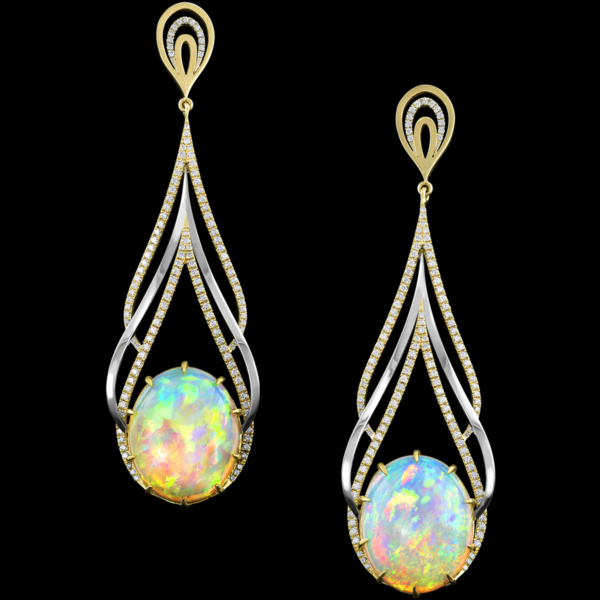 In the case of Ethiopian opal, however, a surge in popularity can be attributed directly to consumers: opal lovers who appreciate these juicy jewels for the ways they are unlike their Australian counterparts. 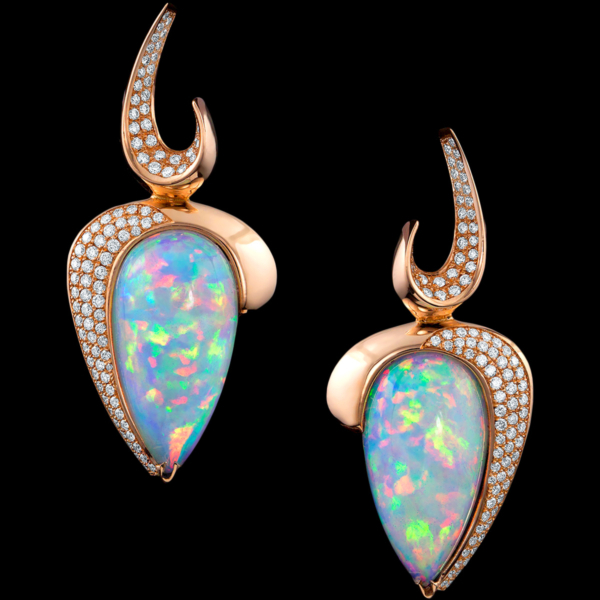 Ethiopian opals are some of the most translucent ever discovered, perfect for gazing deeply. These jewels also light up with bigger flashes than their Australian sisters, making for a more dramatic appearance. 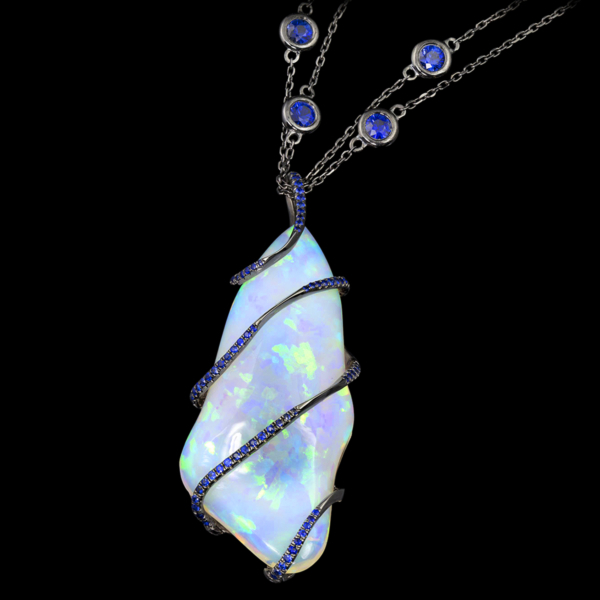 Lightweight and more durable, Ethiopian Opals are a joy to wear in jewelry. For now, these special gems are readily accessible. 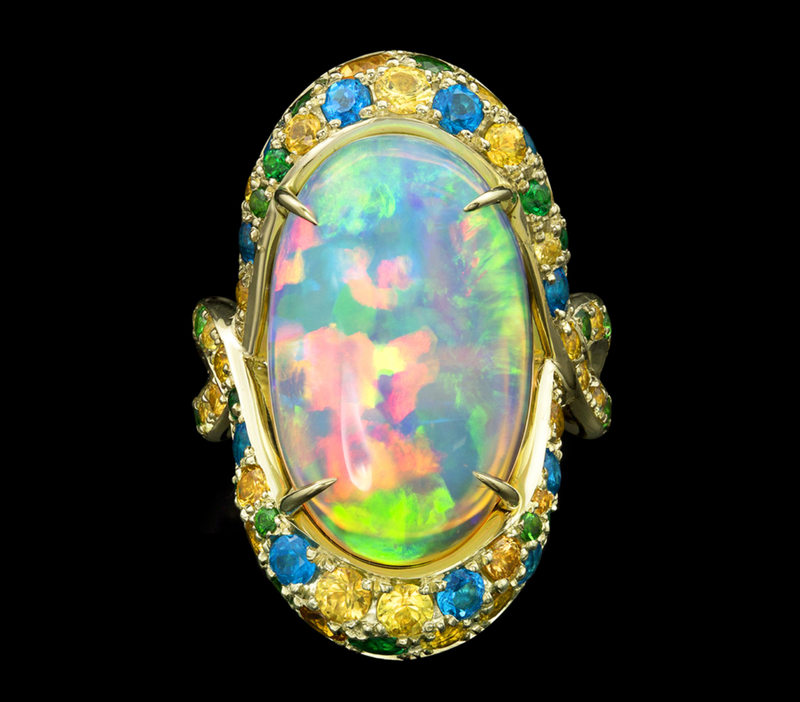 Inspired by this unique gemstone, Adam is on the hunt for the most enchanting specimens of Ethiopian opal to incorporate into his designs.